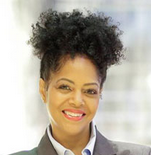 Current representative: The current representative of the 9th House District is Rep. Karen Whitsett (D-Detroit). The 9th District includes parts of the cities of Dearborn and Detroit, according to House Democrats. According to her official website, Whitsett was previously a community organizer who fought for reduced auto insurance rates and "advocated for neighborhood improvement projects." Rep. Whitsett was first elected to the House in 2018, taking office in 2019. Rep. Whitsett raises money through a candidate committee, Committee to Elect Karen Whitsett for State Representative.